A 4"x8" set of clear stamps, made of the highest quality, non - yellowing polymer. Our clear stamps are proudly made in the USA. 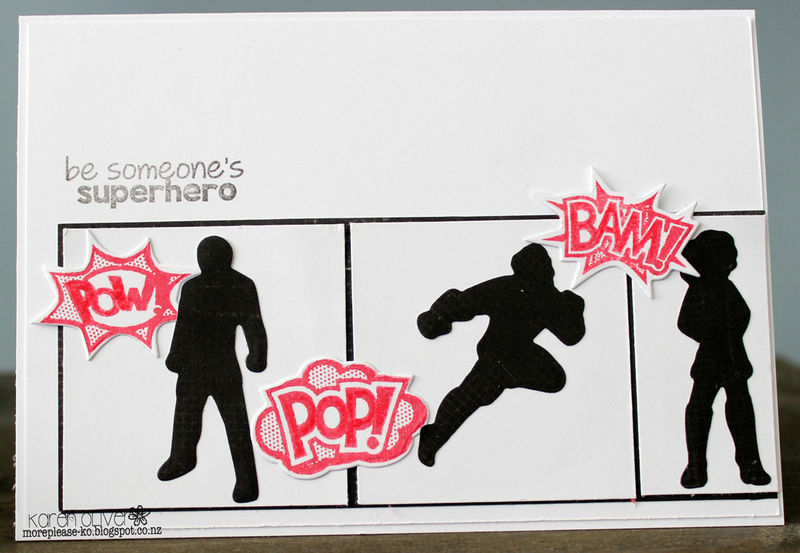 Featuring 21 stamps, this set includes a variety of words and sentiments to create your super hero cards, as well as 4 silhouette figures and 4 action words. 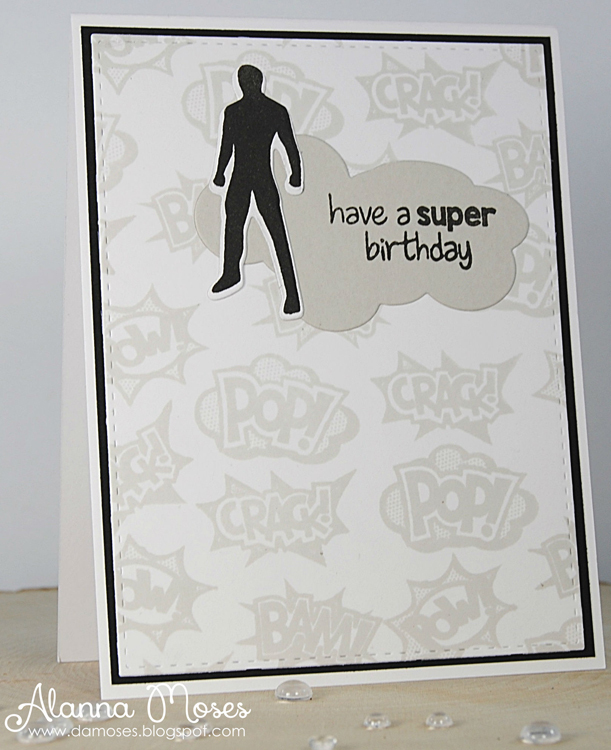 Use the Superhero outline die set (FRA-DIE - 09885) to cut out the images perfectly! Designed by Kathy Berger and Made in the USA.